Librarians constantly conduct searches for their customers and for themselves. However the internet and technology are constantly changing, resulting in pressure on librarians to keep up-to-date with how best to use the internet. This guide offers advice on how to use the internet and how to gain the information required most effectively. It covers for example: how to search in order to achieve the best results (strategies, what to ask and examples) and interpreting results (including examples). Importantly, not only does the book show how to use the Internet, but it also links this to perfect customer service - how to teach your customers what you know and how to properly interpret what your customers want. From data to the Internet; Search strategies; Search engines, directories and gateways; Interpretation of results; Teaching customers what you know and knowing what your customers want; Keeping up to date; Perfect customer service. 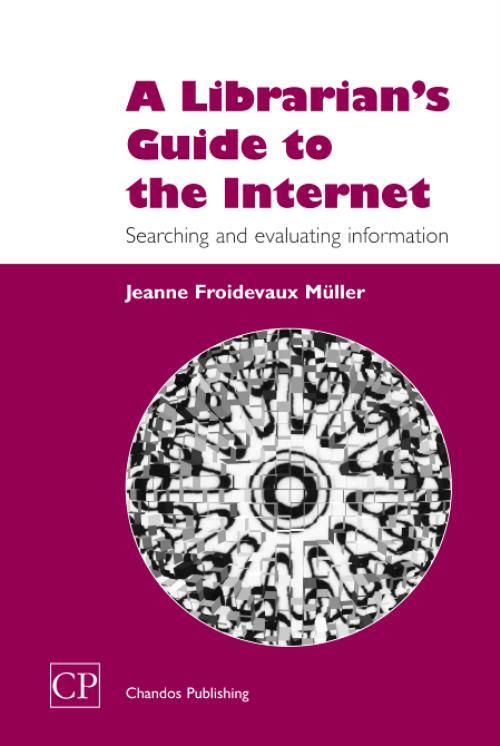 Muller, JeanneJeanne Froidevaux Muller is a frequent contributor and author of columns in the respected magazine Managing Information; the author was, from 1992-2002, head of the library at the Swiss Cancer League. She built the first web page of the Cancer League and developed the library at the League from scratch. Jeanne is currently based at the Public Library of Thun, Switzerland, and is responsible for library systems and statistics.